In contrast to the on-going roll out of smart metering in the UK where the prepayment intelligence rests within the device itself, other markets and use cases require control of the device to be held centrally. This, coupled with market intelligence that indicates prepayment is gaining a greater foothold as the payment option of choice for the ever-increasing number of ‘Energy Savvy’ consumers, gives utilities companies another option for engagement with their customers. Historically, prepayment metering has been more expensive to deploy, customers with prepayment meters carried a higher cost to serve, and since it was often used to reclaim previously accrued debt, it carried a stigma that obscured the benefits to the consumer. However, there is now a train of thought that as fuel is being paid for in advance, it should be cheaper than traditional credit metering, both for Energy Suppliers and for the end consumer. It gives Energy Suppliers in both primary and secondary markets opportunities to innovate to give this new breed of customers a wider choice of tariffs and more flexible ways to pay for their energy use. 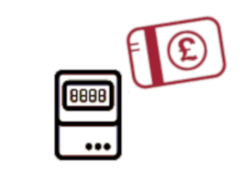 Either utilised as a stand-alone module or easily integrated into an existing IT estate, our System Based Prepayment solution can be hosted on-premise or in the Cloud. In addition, it can work with any device with a remote disconnect switch, plus other metered devices with communication capability such as heat and water meters. Our solution includes devices that already have prepayment intelligence built-in, giving a best-of-both-worlds approach and allowing the payment option to be chosen based on the consumer’s needs, not on the meter that happens to be installed at their property. Provide new Customer offering/service without requiring additional new meter/infrastructure investment. Let us help you bring the benefits to your customers.